Here at Lakeside Daytona Dentist, our team makes every effort to help patients maintain a smile that is wholly natural. However, circumstances may arise where the extraction of one or more teeth is what’s best for your health and wellbeing. Dr. Silva is highly qualified when it comes to this type of surgical care, and he will do whatever he can to help you feel comfortable and at ease throughout the procedure. Sedation dentistry is available upon request. Please contact us today if you have any questions, or if you’re ready to schedule a visit here in Daytona Beach, FL. 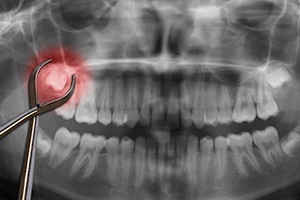 When one or more wisdom teeth (third molars) have become trapped within the jawbone, are threatening the health of surrounding teeth, or causing other serious concerns. When a patient is suffering from advanced periodontal disease. When one or more teeth need to be removed to make way for impending orthodontic treatment. When advanced decay has rendered other restorative services unsuccessful. When a patient has suffered a traumatic dental injury.